SAAF is very excited to announce its newest project to support the lesbian, gay, bisexual, transgender, and queer (LGBTQ) community, the Thornhill Lopez Center on 4th- A SAAF Place for Youth. 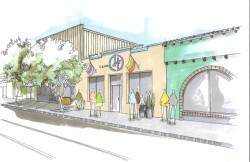 This project will create a dedicated space on 4th avenue which will house several of SAAF’s LGBTQ youth-centered prevention programs, including Eon, HIV Youth Peer Education (HYPE), and Arizona’s Life Links for Youth (Project ALLY). This newest initiative is being funded through a $1.8 million capital campaign which began in March 2016 and has raised more than $1.5 million, to date.